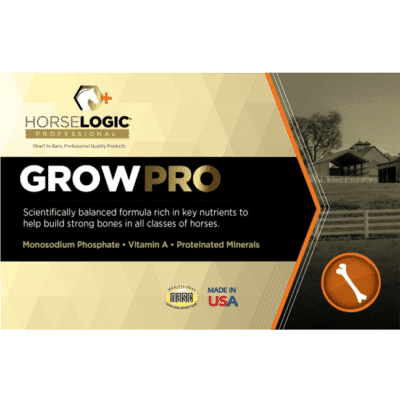 Use in growing horses for better skeletal development and in horses of all ages to maintain strong bone structure. 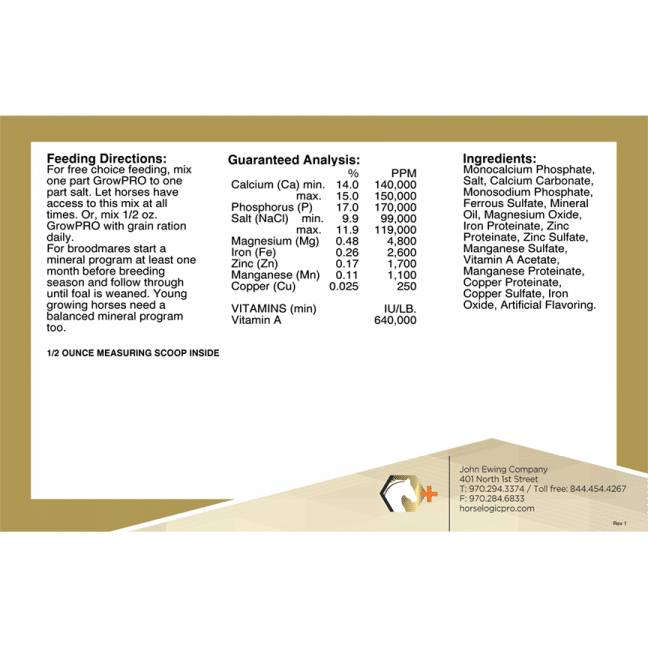 GrowPRO utilizes monosodium phosphate along with proteinated trace minerals to assure that all of the product is put to use. 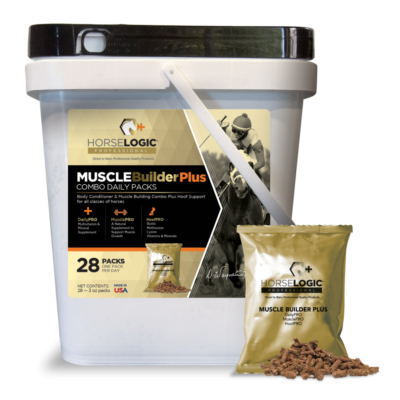 That means your horse always gets all the vitamin A, phosphorus, calcium and trace minerals necessary for strong skeletal development.